"Rapidly we approach the final phase of the EXTENSIONS of man- the technological simulation of consciousness." -Marshall McLuhan, Understanding Media, 1964. 2015 marks the 104th birthday of Canadian visionary Marshall McLuhan. With each passing year the revelatory nature of his prophetic vision becomes more evident. The global village is becoming a distinct reality in this technological age. McLuhan’s ability to predict the full impact of technology and media on our culture decades in advance is unprecedented. And his deep concern and warnings to us in these drastic changes in civilization are rarely heeded as we head full-steam ahead past the point of no-return, the consequences which are increasingly self-evident. Sound artist Mark Templeton and filmmaker Kyle Armstrong have collaborated on a film/record released as a 12” LP and DVD in tribute to Canadian media visionary Marshall McLuhan. The audiovisual elements include both original and sampled film and audio inspired by the media visionary. 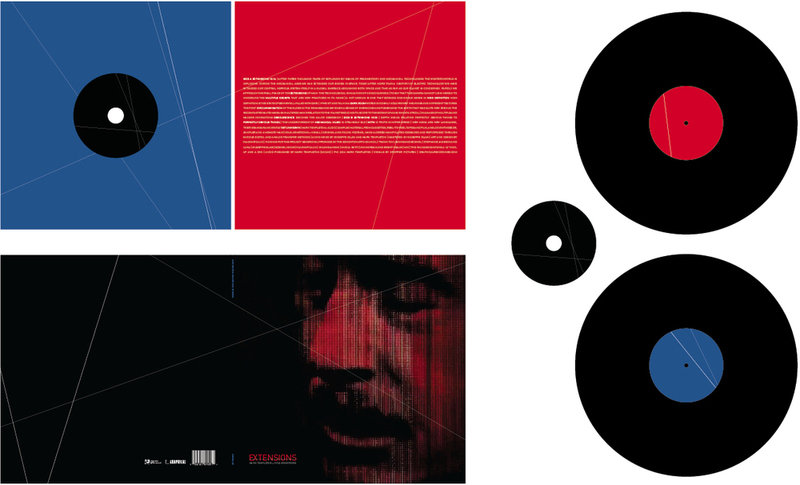 The LP and DVD was mastered by Giuseppe Ielasi and pressed on 140g vinyl. Release comes with a digital download coupon. First 100 copies come with 1 limited edition postcard. 20 different postcards in all. — Eric Hill for Exclaim!